Until May 2011, the United Nations Standing Advisory Committee on Secu­rity Questions in Central Africa (UNSAC) Secretariat was provided by the UN Regional Centre for Disarmament in Africa (UNREC), based in Lomé, Togo. This responsibility is now assumed by the United Nations Regional Office for Central Africa (UNOCA). The 33rd UNSAC Ministerial Meeting, held in December 2011 in Bangui (CAR) was its first experience. UNSAC was established on 28 May 1992 by the Secretary-General of the United Nations, pursuant to Resolution 46/37 B adopted on 6 December 1991 by the UN General Assembly.This decision was a positive response to the request made on 28 November 1986 by the member countries of the Economic Community of Central African States (ECCAS) emphasizing the need to create this Committee. Main objective : have a tool to cope with the many conflicts they faced in the eighties. In reality,the idea was to set up a framework of cooperation to better address the threats that jeopardized the stability of the sub-region as well as its integration and sustainable development. The Committee’s main mission is to carry out « reconstruction and confidence building activities among its Member States, including through confidence-building and arms control mea­sures ». In this regard, several mechanisms and instruments have been adopted. These include, for example, the « Central African Convention for the Control of Small Arms and Light Weapons, their Ammunition, and All Parts and Components for their Manufacture, Repair and Assembly » approved on 30 April 2010 during the 30th Meeting of UNSAC held in Kinshasa (Democratic Republic of Congo). This Convention entered into force on 8 March 2017 after Angola deposited the sixth ins­trument of ratification. Cameroon, Central African Republic, Chad, Congo and Gabon had already done so few years ago. Sao Tomé and Principe also ratified the Convention in 2017. 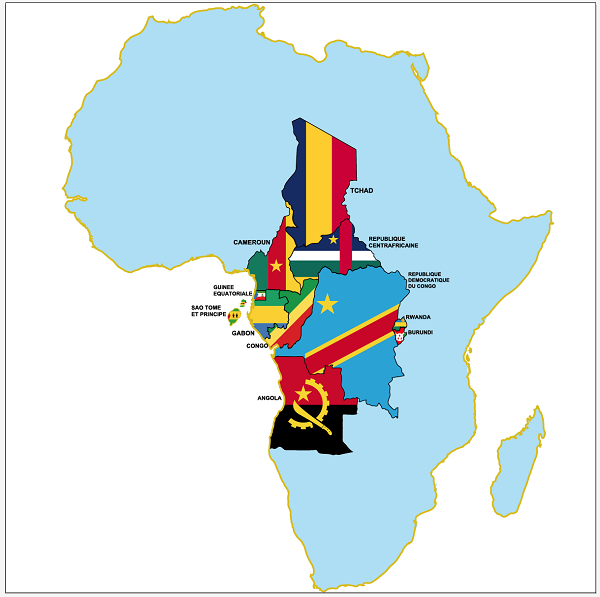 UNSAC is comprised of the eleven ECCAS Member States: Angola, Burundi, Cameroon, Central African Republic (CAR), Chad, Congo, Democratic Republic of Congo (DRC), Equatorial Guinea, Gabon, Rwanda, and Sao Tomé and Principe. Besides the Member States, regional, sub-regional and inter­national organizations take part in the Committee sessions as observers. During these sessions, they present reports on their contributions to the promotion of peace and security in Central Africa. To become an observer, the organization sends its application to the Secretariat, which submits it to the Com­mittee for examination. The Committee meets twice a year to assess the state of the geopolitical and security situation in Central Africa and to report on disarmament and arms limitation programs as well as on initiatives aimed at promoting peace. A meeting of experts precedes the ministerial session. The involvement of the representatives of the civil society in deliberations, including through seminars and workshops in the sidelines of some meetings of the Committee, allows leaders to take into account opinions and contributions of women, young people and other stakeholders on issues on the agenda. Debates are held under the chairperson of the host country. The bureau also includes two vice-presidents and a rapporteur. All have a six-month’s mandate. During this period, they ensure, among other things, the implementation of the Committee’s decisions and recommendations. Apart from quarterly meetings, members of the Committee undertake actions towards supporting countries in crises and under various security threats. Field missions allow not only to reaffirm solidarity to concerned countries but also to exchange views on ways and means to reduce tensions and conflicts in order toget throughlasting solutions. The Statement on the revitalization of the activities of theCommittee adopted on 2 June 2017 during the 44th session in Yaoundé (Cameroon), underlines the Member States’ determination “to improve the Committee’s contribution in achieving peace, security and de­velopment goals in the sub region”.